This weekend I grabbed my thief’s character sheet, chose skills, spent gold on weapons and equipment, grabbed some funny dice and bravely ventured forth with a party of fellow adventurers (a minotaur, an undead warrior and an insane mage) to stop an evil villain from plunging the world into darkness, with plenty of dungeons and side quests along the way. Oh yeah, there were plenty of snacks, too. No, I wasn’t playing Dungeons and Dragons or another fantasy role playing game (RPG). I was playing a board game called Descent: Journeys in the Dark from Fantasy Flight Games. Although nowhere near as open-ended / sandboxy as a tabletop RPG would be, it was still pretty darn complex and captured the party dynamics and dungeon crawl experience very, very well. Like, really well. The game can be played as a one time session, or as a campaign of multiple sessions where your characters receive experience and you can upgrade them along the way. We are attempting the latter, and I imagine it will take many, many sessions to finish the campaign. This time around we played close to six hours and managed to get the exposition and one (yes, one) dungeon out of the way. Keep in mind the dungeon was a spontaneous decision while on the way to accomplish our first side quest. The side quest still awaits. Something about a baby griffon. I’m not complaining, mind you. It felt remarkably close to an RPG gaming session and that’s one of my favorite things with the right group. So here’s hoping for more. 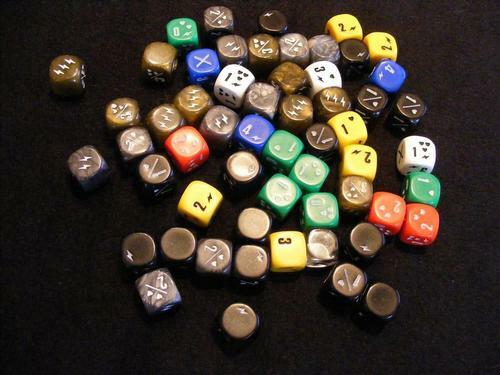 Descent dice. If this doesn’t get you excited, just stop reading and move along. 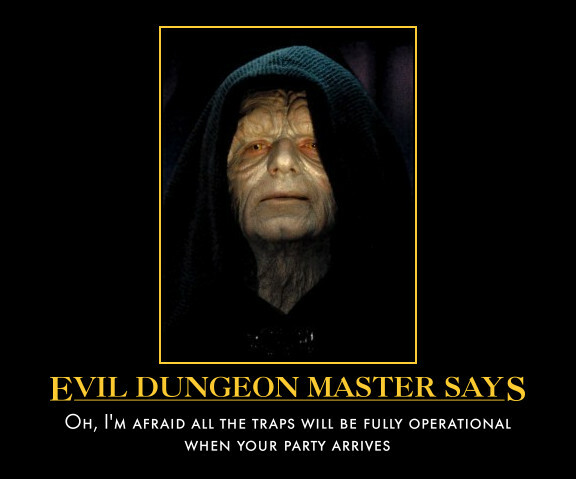 Another point worth mentioning is that in many cases in RPGs the Dungeon Master (or Game Master, depending on what game you are playing) is working cooperatively with the players to tell a good story and make sure everyone has a good time. A final point worth mentioning is the dungeon maps and miniatures add a lot to the game and added even more to that great RPG feel. Let me say again this is a board game and not an RPG, but man it feels close. Descent: Journeys in the Dark and its expansions are now on their Second Edition. We are playing the first edition just in case you are curious. This entry was posted in Board Game, Descent: Journeys in the Dark, Fantasy, Uncategorized on February 26, 2014 by Shane.